Dr. Greg Frey received a Bachelor of Science in Biology from Nebraska Wesleyan University in 1994. 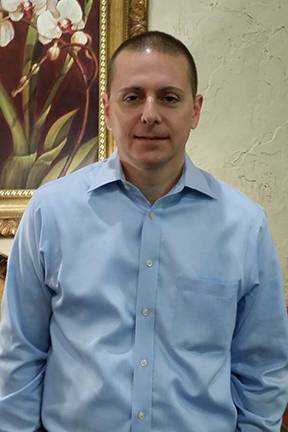 He graduated from the University of Houston, College of Optometry in 1998 and was a member of the Beta Sigma Kappa Honorary Society. He received numerous academic awards and was trained with an emphasis in contact lenses, pre and post-op surgical care, diagnosis and treatment of eye disease, family practice, and pediatrics. Dr. Frey is certified by the National board of Examiners in Optometry & Texas Board of Optometry. He is also a certified optometric glaucoma specialist. Dr. Frey has lived in the Grand Prairie/Mansfield area since 1999. He and his wife Maggie have been married since 2001, and they have two daughters. Their family attends Trailwood Baptist Church in Grand Prairie. In his free time, Dr. Frey enjoys motorcycles, sports, music, physical fitness, and volunteering for the Grand Prairie Lion’s Club Low Vision Clinic. He also assists with various youth sports and activities in which his children are involved.